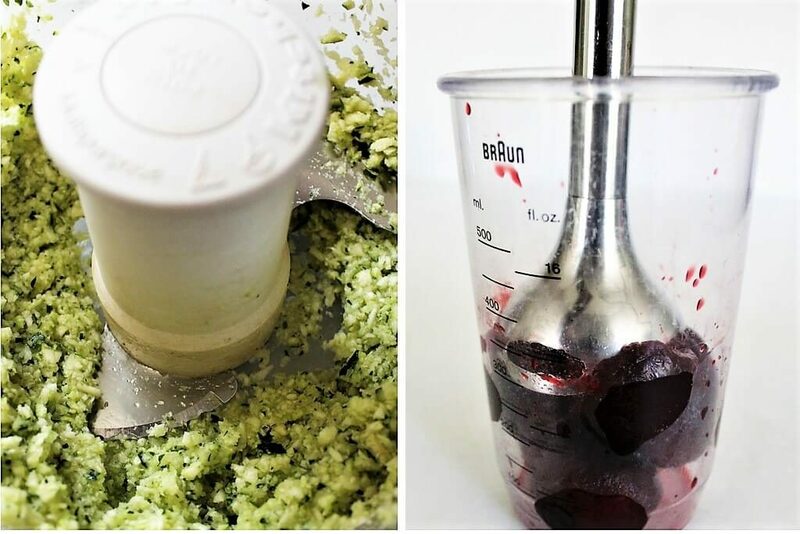 You are here: Home / Desserts / Gluten Free Baked Goods / Veggie Brownies Recipe – Zucchini and Beets! This veggie brownies recipe is one of those that you must taste to believe. Packed with 2 cups of zucchini and 1 cup of beets, you may not think that they could taste very good. Not only do they taste like brownies, they are my favorite vegan brownie recipe! These hidden veggie brownies come out perfect with gluten free or wheat flour and are soy free too! 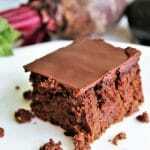 If you are looking for a sweet chocolaty treat without all the guilt, this veggie brownies recipe is just the thing you are looking for! I got the idea for these brownies from my friend Rachel who makes the most delicious gluten free brownies with zucchini in them. I decided to try to make them a little healthier by reducing the sugar and oil a little and adding beets. To my surprise, they came out delicious! Best of all, my zucchini and beet hating son LOVES them! What if I need to hide the veggies from picky eaters? If you have picky eaters, make sure to chop the zucchini up very fine in a food processor. This will help hide the little green flex. 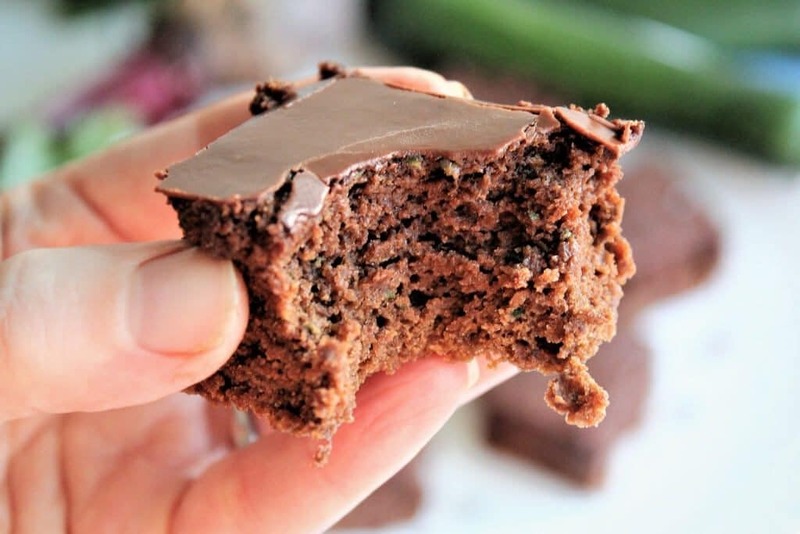 There will be some little dots of zucchini at the top of the veggie brownies, so I make a chocolate fudge frosting to hide them and add another layer of deliciousness! This frosting is seriously amazing and I highly recommend using it! How do I make veggie brownies? 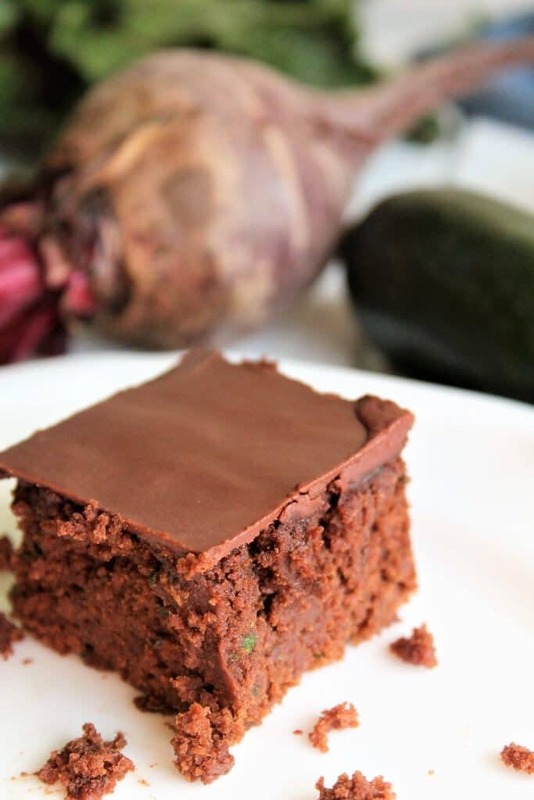 To make this veggie brownies recipe, chop up 2 cups of zucchini in very fine pieces in your food processor. (This is usually about 8-10 inch long zucchini). Then puree 1 cup of pre-cooked beets. (An immersion blender works the best for this). I find pre-cooked beets that are ready to eat with the produce at Trader Joe’s or other major grocery stores. You can also use canned beets or steam and peel fresh beets. 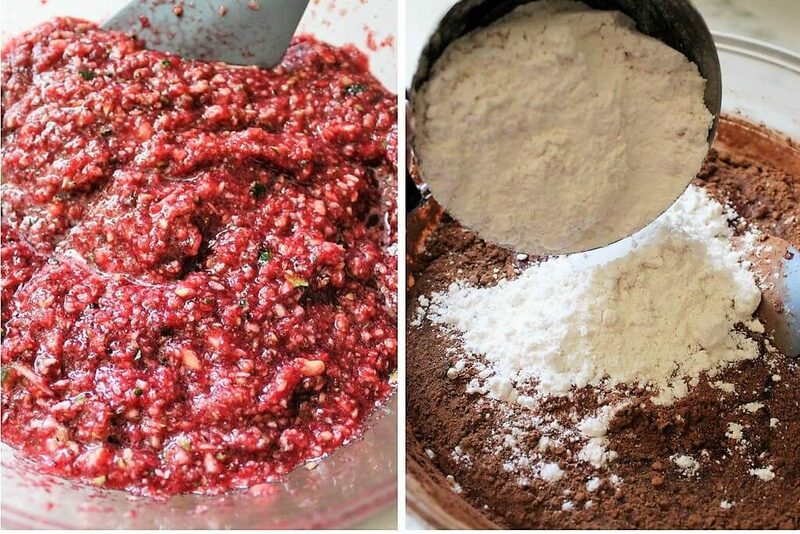 Mix the chopped zucchini and beet puree to a large mixing bowl, add the sugar and mix. Then add the remaining ingredients and stir. Pour into an oiled 8×11 baking pan and bake. Now watch your kids gobble up their veggies! These brownies are in between cakey and fudgy. People have strong opinions about their favorite type of brownie, so to make yours perfect you may want to adjust slightly. Cakey Brownies: You can increase the baking soda by 1/2 tsp. 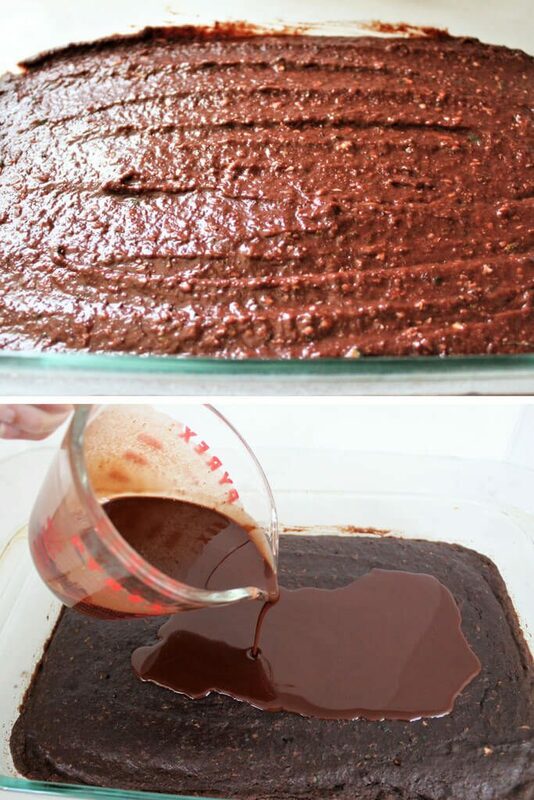 Fudgy Brownies: Decrease the baking soda by 1/2 tsp for fudgy brownies. If you want to make them gluten free, my gluten free flour recipe works great! Do you like sneaking in extra veggies where you can? Try these Healthy Vegan Muffins with Hidden Veggies! A healthy muffin that tastes like a cupcake! Don’t forget to pin this veggie brownies recipe for later! Vegan and gluten free brownies made with zucchini and beets. Packed with veggies, but full of flavor! 1 coat non-stick spray oil or any neutral oil to rub on the baking pan. Chop zucchini in a food processor or by hand with a cheese grater and place in a large mixing bowl. 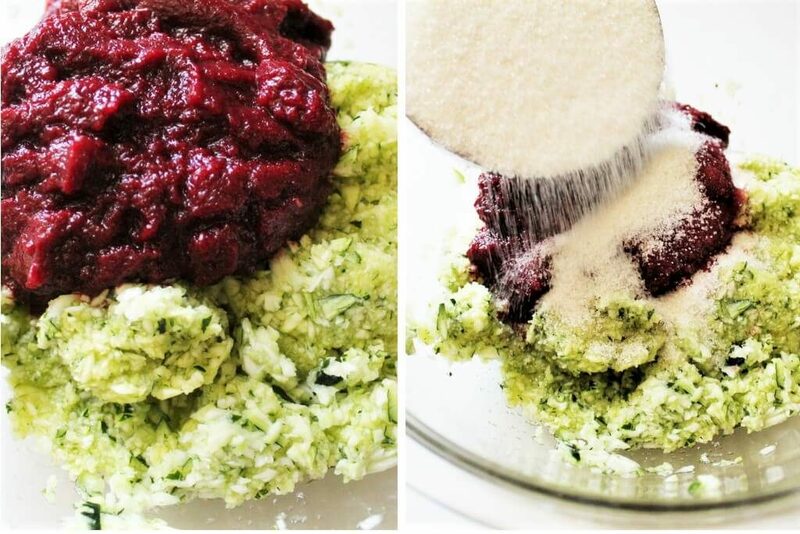 Puree cooked beets and add them to the zucchini. Sprinkle sugar over veggies and stir with a spoon. Add remaining ingredients and stir slowly until mix well and it creates a thick batter. Spray oil on a 9x13 baking dish or rub with a coating of any neutral flavored oil. Pour brownie batter in the oiled pan and bake at 350° F for 30 minutes. If topping with fudge frosting, let the brownies cool completely. Melt coconut oil and add cocoa powder, powdered sugar, vanilla, and salt. Mix well with a fork or small whisk to make sure all the clumps are out. Pour evenly over the brownies. Pick up the pan and rock it back and forth to make an even layer of fudge over the brownies. The fudge will harden as it cools. Put in the fridge to firm up faster. To make brownies more fudge like, reduce baking soda by 1/2 tsp. To make brownies more cake like, increase baking soda by 1/2 tsp. Chop the zucchini very small to hide it better in the brownies. If topping with fudge frosting, cut into squares when frosting is firm, but not too hard or it will crack. This recipe will work with regular wheat flour and most gluten free flour mixes. (I have not tried this with almond flour). Thanks Sabina! 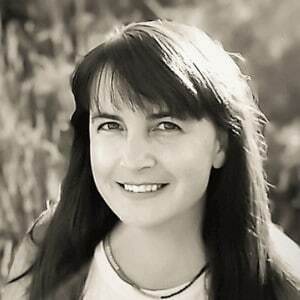 So happy that you liked them! The chocolate fudge frosting is amazing! No one tasted the veggies!